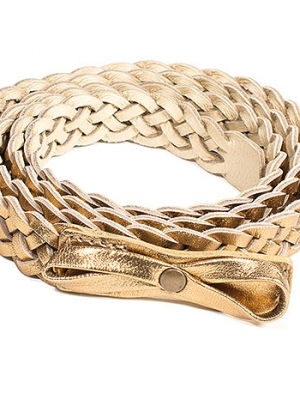 Looking for that special gift but having a difficult time deciding what it should be? A gift certificate is a great idea! Available in increments of $25, we can send or email to you to give, or if you prefer, we will email it to that special someone with a message from you! There are no taxes or shipping charges on Gift Certificates. Any such charges showing on your order will be deleted from the total when we process your order. To order, using the drop down arrow above, select the number of $25 you require to total the amount of the Gift Certificate you wish to purchase. The Gift Certificate will be made out in the total you requested. Please include the recipient’s email address for us in the Gift Message Section along with your message. 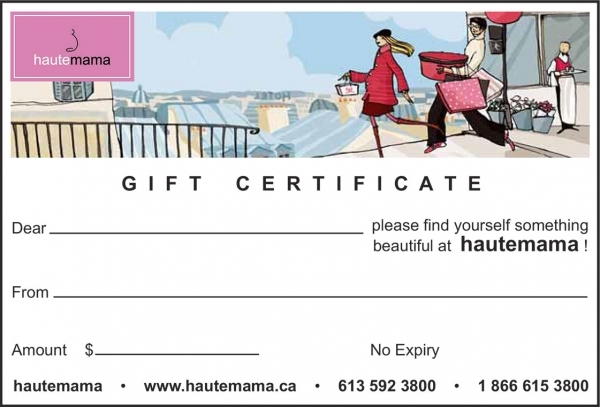 There is no expiry on hautemama Gift Certificates. Looking for that special gift but having a difficult time deciding what it should be? A gift certificate is a great idea! We can send or email to you to give, or if you prefer, we will email it to that special someone with a message from you! 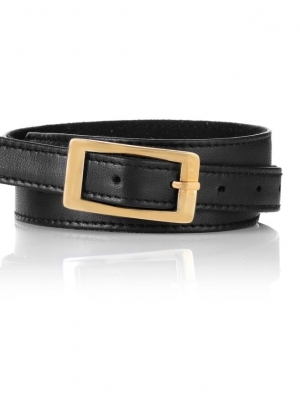 Please include the recipient’s email address for us in the Gift Message Section along with your message. There is no expiry on hautemama Gift Certificates.